RTÉ has pulled out all the stops for this mega-documentary that promises to tell the story of Ireland’s revolution as it has never been told before. Cillian Murphy narrates the fortunes of a rag-tag group of rebels as they took on the might of the British Empire to establish an Irish Republic. This production draws from first-hand accounts, archive footage and some hi-tech visuals to recreate key events. 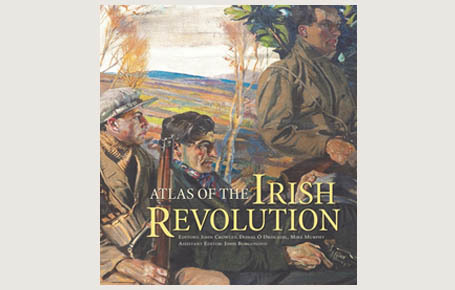 It is based on the Atlas of the Irish Revolution, now in its fifth print with over 28,000 copies sold since launching in 2017 when it won Bord Gáis Energy Book of the Year. Dr John O’Callaghan of St Angela’s College will be one of the historians featuring during the three-part series.